Cable television repeaters take a beating. Vibration, extremes of heat and cold, line voltage variation and lightning exact a heavy toll. Cost effective field deployment demands flawless electronics performance—year after year. Orchid Technologies’ ultra-reliable, high-efficiency cable television repeater power supply provides the foundation for high-reliability operation. At 80% efficiency, this 100,000 hour mean time between failure, 150-watt power supply provides a firm infrastructure upon which repeater amplifier electronics may build. Operational from 40 below zero to over 80 degrees C, this power supply simply won’t quit. Cable television repeaters are powered from old-style resonant transformer sources. 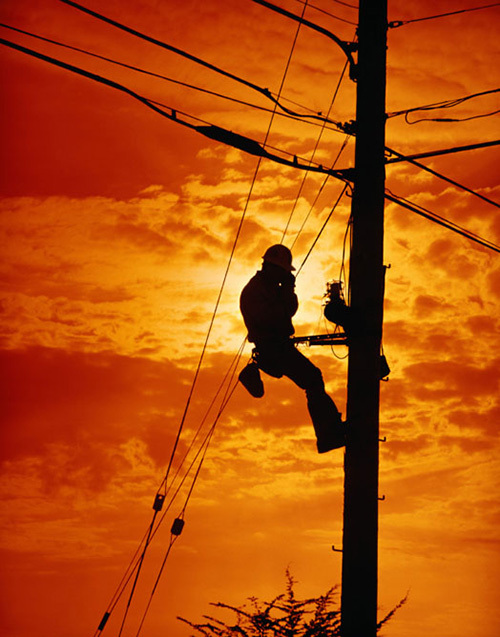 Transmission line lengths vary, causing line input voltage variation from 35 to 90 Volts AC. Non-sinusoidal input wave shapes create additional demands on input conditioning circuitry. Low-voltage lockout, over current, over voltage, and lightning protection requirements make this supply unique in its class. Working closely with Linear Technology Corporation, Orchid Technologies crafted a high-efficiency forward converter which boasts 80% operating efficiency. Planar magnetics reduce the overall package size. Unique heat sinking techniques maintain temperatures within acceptable ranges. Careful design validation resulted in a robust, manufacturable design that passes all agency approvals. The development of custom Electronics Technology solutions for our OEM clients is Orchid’s entire business. High-performance Custom Power Supplies with rapid design cycles, demanding technical requirements and unforgiving schedules set us apart. Call Orchid Technologies today! Cable television repeater amplifiers receive power from ultra-reliable, high- efficiency power supplies designed by Orchid Technologies. "When our old power supply vendors said NO, Orchid said YES. Orchid designed and delivered a high-reliability 100,000-hour 80% efficient power supply to us in under ten weeks. Simply fantastic."